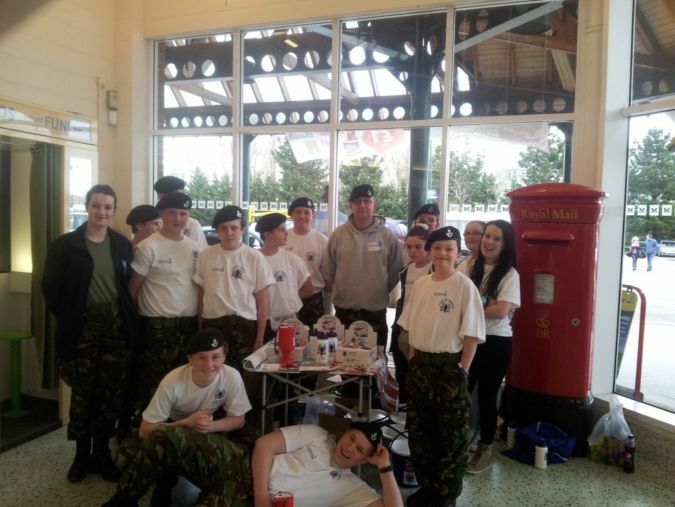 With a smile on their faces an enthusiastic Tewksbury Platoon from A Company, Gloucestershire Army Cadet Force (The Rilfes), , managed to raise a staggering £754 in just 4 hours at their local Morrisons Store for local charity, Army of Angels. The Army of Angels is a UK Military Charity that provides direct and indirect support to members of the UK's armed forces who have been injured, physically or mentally, while serving their country in conflicts around the world. We also support their families and co-dependents. Platoon Commander SSI Tim Smiles proudly stated how "proud he was of the Cadets and how much enthusiasm they show in everything they do". "I am overwhelmed with how much was raised on such a short time and for a good cause".